This entry was posted on Thursday, June 25th, 2009 at 8:35 am	and is filed under Seasonal Foods. You can follow any responses to this entry through the RSS 2.0 feed. You can leave a response, or trackback from your own site. Well, I didn’t get any collards this time but I did get two kinds of kale. I made a soup with the Tuscan kale, white beans and andouille his morning and I’ve got some other plans for my other kale. I’ll let you know if any of them are worth passing on. Katherine now likes radishes, just upped the veggie repertoire for her by 20%! Looks yummy. I’ll make this, but skip the bread. However, I do have a question. Do you make your own teff bread periodically, or is there a ready-made teff bread? While I really don’t miss bread, I’d still like to try it. I’ve been enjoying spinach frequently in my scrambled egg. I just throw in some raw spinach while the egg is cooking. Another easy way to add more greens. 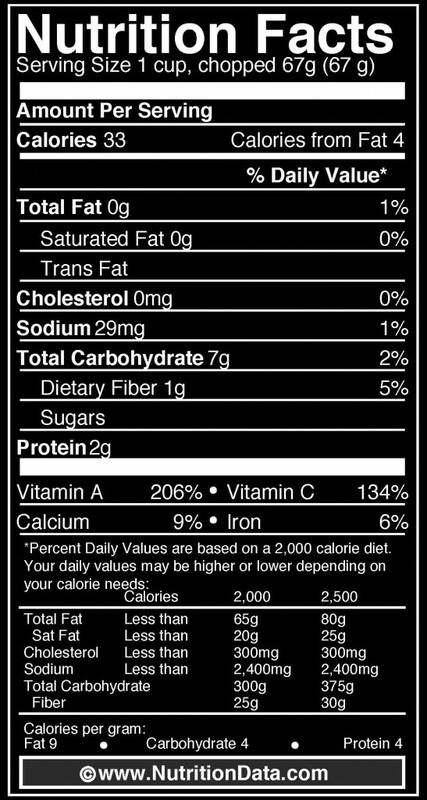 The nutritional “labels” for real food always intrigue me. First, no surprise that there’s no fat, but I’m always surprised when greens like kale hardly have any fiber. But, I’m stocked up with kale for smoothies and will try that other recipe of yours I planned to make ages ago. The soup sounds wonderful. I love white beens with greens. I do that a lot. Hmmm, interesting about Katherine and the radishes. They aren’t my favorite, but I like them enough to put them in salads. Good for Katherine! That’s just the basics on kale. It’s also loaded with vitamin K, contains some Omega 3s, and has an assortment of other nutrients. I’m guessing the fiber content on the Nutritional Data website is a low value. If you factor in the stems, which I always eat, I bet it’s twice that. I agree, that sounds low. A great post, I love kale and never mess about with it, I only ever use olive oil, cumin amd lemon. It’s perfect with fish. I love poached eggs. This sounds really good, but I’d have to just fix it for myself. The only other ones in my family who will eat kale are the dogs! Thanks for another great seasoning comment. Cumin — hmmm? I’m writing that down on my “Miles” page on the inside of my spice cupboard! My daughter doesn’t like the thick stems of kale, so she freezes them and gives them to her dog to munch on. You two are on the same page with this! Yes, you do have your geeky tendencies. You’re so dang cute that it makes you all the more interesting! Hmmm, kale and buckwheat? Broccoli and quinoa? And I thought I had some strange breakfast cereal combos! Damn, I’m simply slavering with the idea of warm egg yolks running onto sautéd kale. And hey, I’ve learned a new term today too. Is a pullet the same thing as a squab or are they different ages? (or different species?) 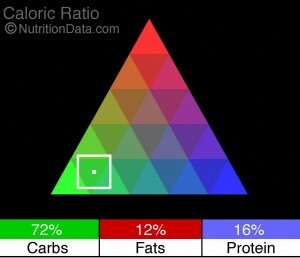 Plus, I can see the NutritionData site keeping me entertained for hours. Thanks Melissa! 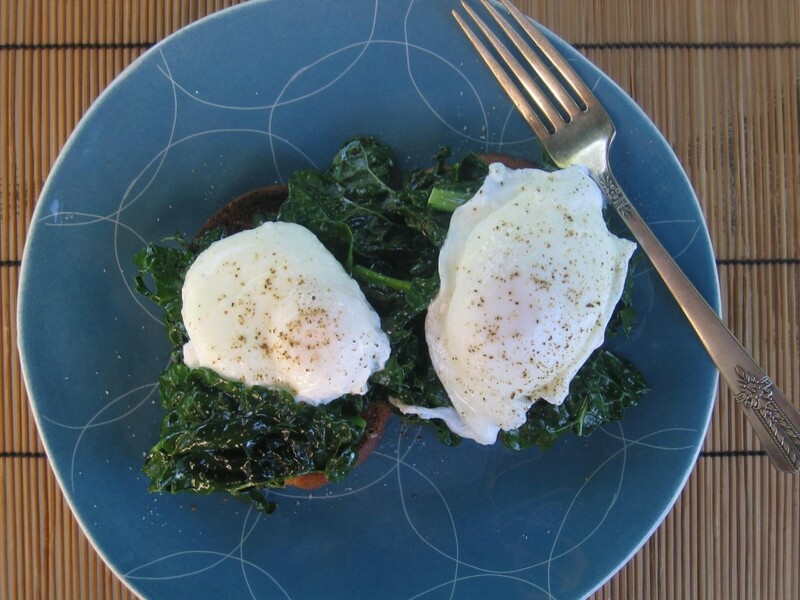 Yes, I love poached eggs with kale. Hey, you have a tasty looking breakfast dish on your blog right now as well! We must be on the same wave-length with this. I seriously think breakfast is my favorite meal. P.S. A pullet is a young chicken, a squab is a young domestic pigeon.